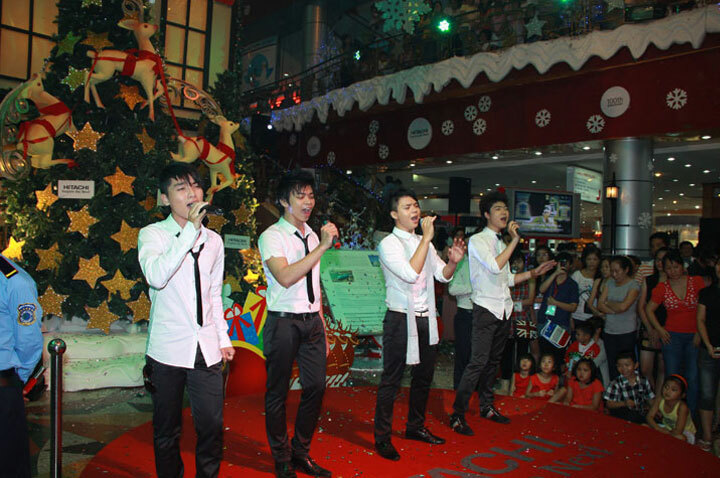 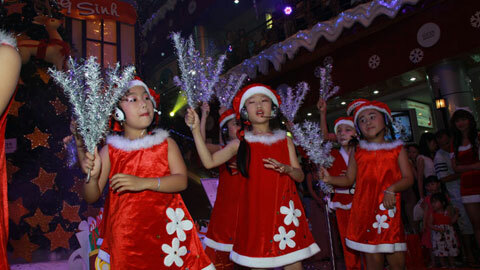 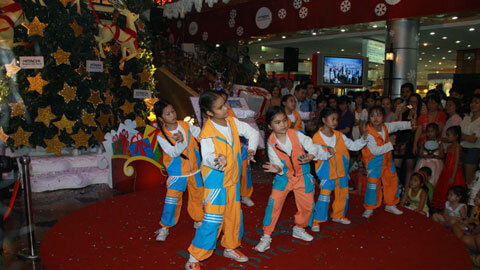 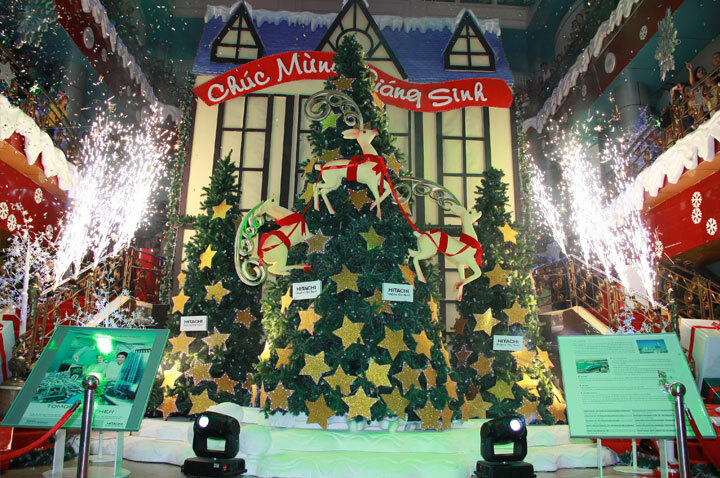 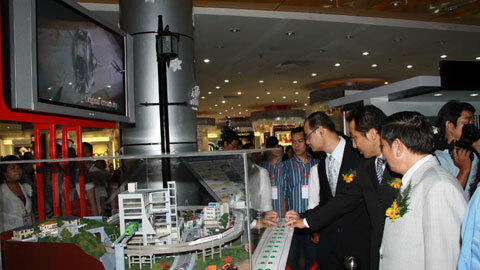 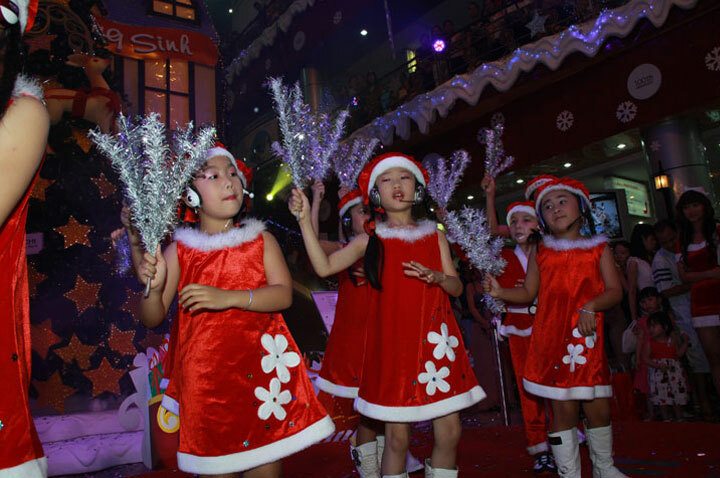 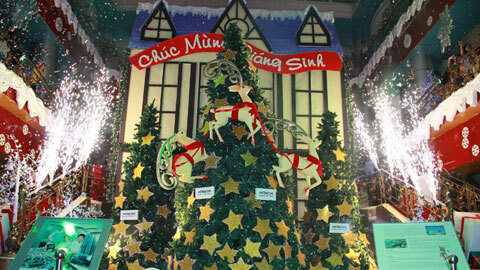 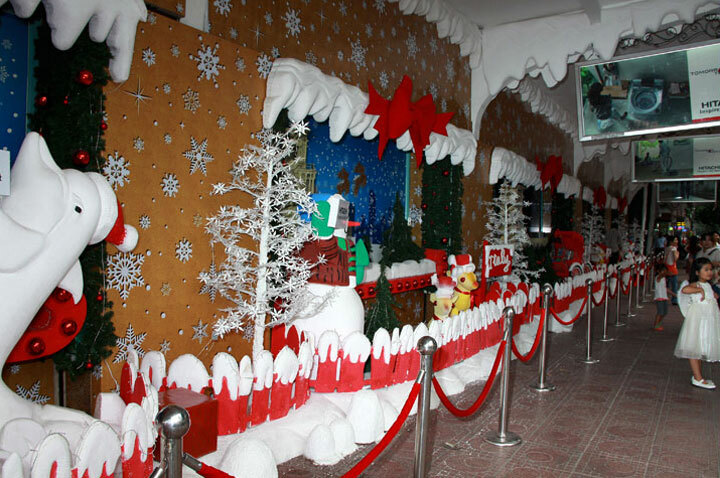 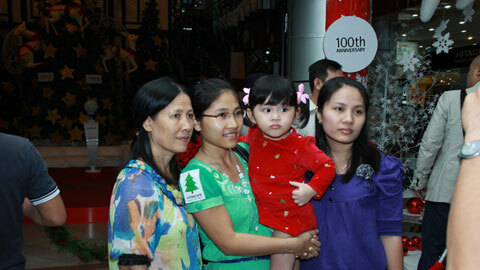 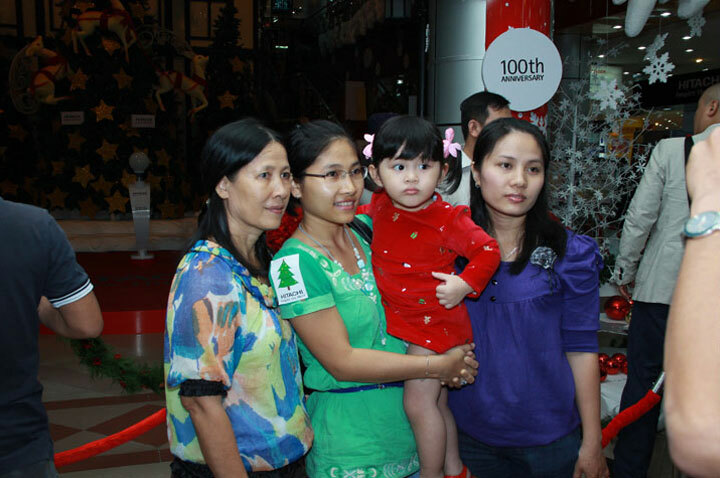 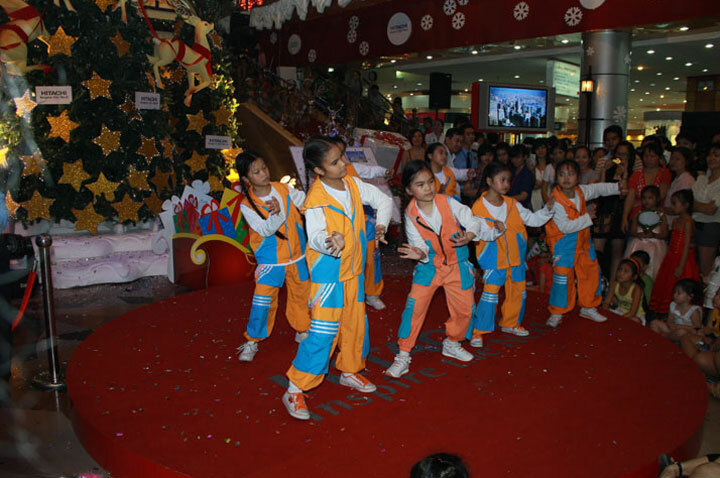 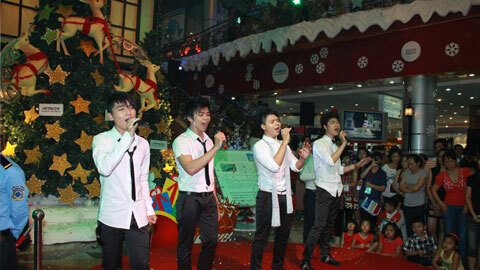 The Hitachi Christmas Light-Up at Saigon Tax Trade Center is a familiar event for Vietnamese. 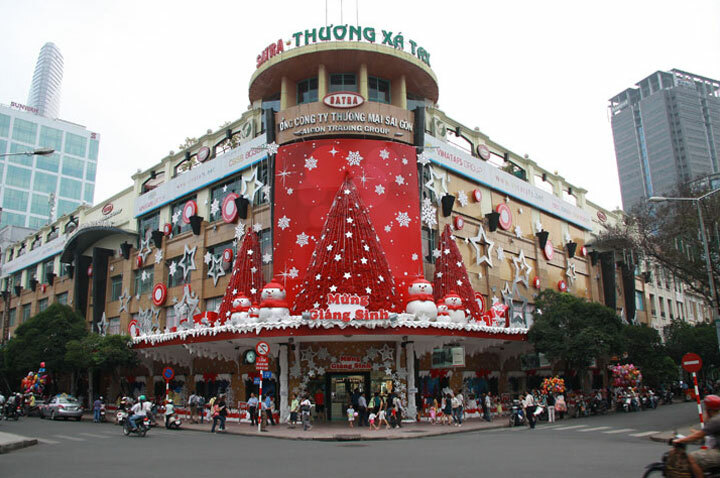 After all, this is the 3rd consecutive year Hitachi is celebrating Christmas with Vietnamese at this prominent landmark in Ho Chi Minh City. 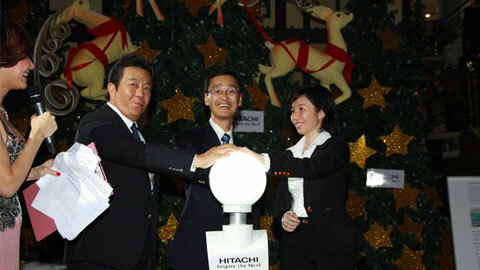 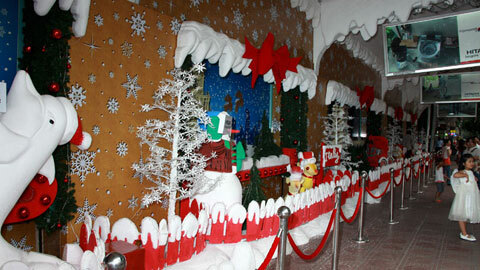 The theme for 2010, "Christmas around the World", features various Christmas scenes globally, symbolizing Hitachi's international presence. 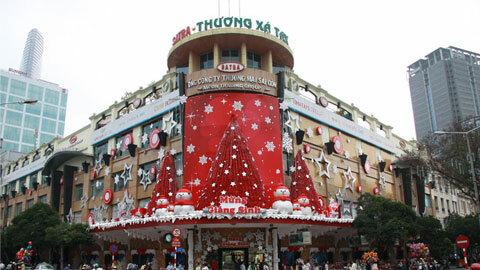 Japan's Fuji Mountain, Italy's Leaning Tower of Pisa, France's Eiffel Tower, Australia's Sydney Opera House, America's San Francisco Bridge and Vietnam's Ben Thanh Market are among the famous landmarks featured. 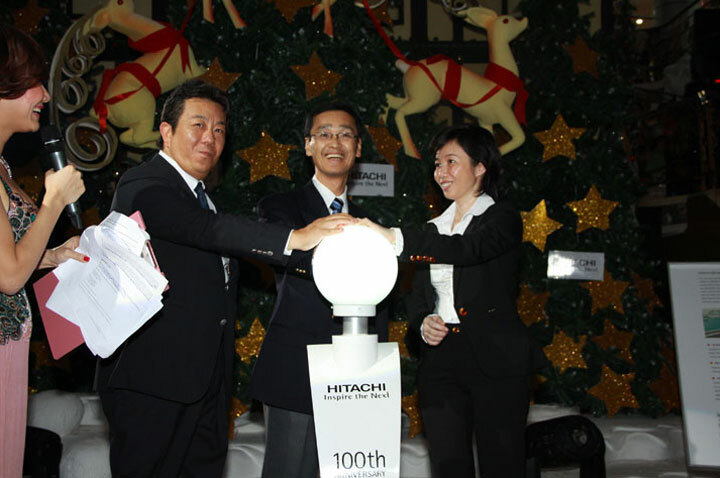 The event was officiated by Ms Le Minh Trang, General Director of Saigon Trading (SATRA) Group, Mr Taga Yasunori, Chief Executive for Asia, Hitachi, Ltd. and Mr Nakamura, Managing Director, Hitachi Asia Vietnam. 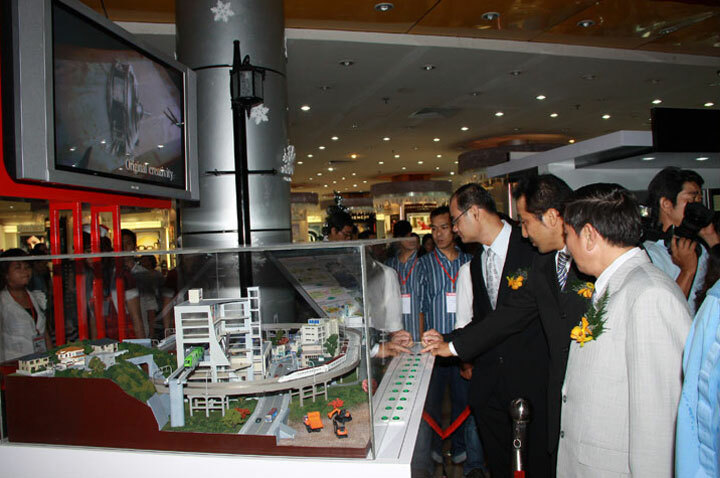 "Through this event, I hope (Vietnamese) will be able to learn more about the wide range of products the Hitachi Group can contribute to Vietnam," said Mr Taga in his Christmas speech during the opening ceremony.